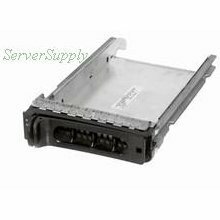 Description: GENERIC - SCSI HOT SWAP HARD DRIVE TRAY FOR POWEREDGE AND POWERVAULT SERVERS EQUIAVALENT TO DELL PART 9D988(MP601003). REFURBISHED. IN STOCK. SHIP SAME DAY.